What is the best way to learn a language? Apart from having the interest and passion to do so, the learning process has to be fun, enjoyable, slightly challenging but motivational enough to keep you going. It must have the core principles needed to attain mastery – repetition, grammar, continuously growing vocabulary and the ability to naturally combine words into usable sentences. I’ve been playing with the app, and am slightly horrified at how far my French has fallen! The app feels like a game with different levels. Personally I found this level MUCH more challenging and had to do the same level three times in order to see the next level. There is a cute little blonde cartoon caricature of Natasha, cheering you on throughout the lesson “Allez! Allez!” (Let’s go! )… I’m wondering if that is part of the drill or only comes up if you’re taking too long. I’ll have to improve my speed and let you know! The last stage of the first lesson allows you to construct phrases yourself, giving you a variety of words to choose from to piece together. As you progress, there is a timed element, so you can race against yourself to beat your own score. The app is formatted in such a way that it offers both repetition and variety. Repetition is vital for mastery and variety is essential for motivation. The lessons are fun, and feel more like a game than a lesson. The app officially launched on Wednesday. I’m posting a few photos from the launch event. But they did a soft launch a few days previous, only revealing access to the app via snapchat. Since the app is targeted at Leaving Cert students, the medium to reach them is simply brilliant. I can’t quite get my head around snapchat. I’ve half-joked that I must be too old for it. But last night I watched Natasha’s snapchat story. She is absolutely brilliant. She shares the French and English translation for the videos she’s taking. I found myself laughing out loud at her antics, while repeating the French phrases. Clearly her fun, personal approach is working, as the app reached the top free educational app in the app store before it even officially launched, topping popular language apps such as DuoLingo. I’m so excited to keep using this app and get my French up to par, and even more excited to see the limitless success this app will see! It’s available in the App Store and the Google Play store. The first level is free and you can purchase a second and third level for €5.99. My birthday is in a couple of days and it got me thinking – I started thinking about my life, and how much it has changed, how fluid it has been and how much I have changed along with it. I feel like I have learned so much, particularly in the last few years when in essence, one life collapsed and another evolved. Don’t live by rules! There isn’t only one right way to do things. Be open-minded, willing to try new things, see the flaws in what you are accustomed to and open to contemplate ideas that are contradictory to your own. It’s a pretty amazing world out there, but you’ll miss it all together if you stay in your box. Laugh. A lot. Choose happiness. Yes, it’s a choice. Enjoy life. Enjoy the moment. Enjoy the journey. So much time can be wasted thinking about the past, or trying to plan the future, or worse -worrying about the future – that the time passes and the moment you missed becomes the one you want to reflect on. Enjoy the little things. Enjoy your kids. Laugh with them. Love them. Squeeze them. Tickle them. Hug them. Listen to them. Chase them. Let them know you adore them and they can do anything. Don’t ever sacrifice your dreams and what is important to you for what somebody else says you should do. Learn – always. Be hungry to learn. There is so much in life to learn. Read. Listen. Take classes. It makes life incredibly exciting! Cherish people. Value the relationships in life, but never let another person define you. And remember, life is fluid. Some friendships don’t last – it doesn’t mean they weren’t good. Life changes. Don’t be afraid to fail. Sometimes, getting lost helps you find yourself. We learn so much from our failures, and gain a strength and fortitude that could never be gained through a book or class. Get out there and live your life. Your failures become moments you cherish when you look back. It sounds crazy, but it’s true – because those moments serve as a catalyst to things you could have never previously imagined – or accomplished had you not ‘failed’! Don’t be afraid to be different. Everybody wants to be unique, nobody wants to be different. You can’t be unique without being different. Don’t be afraid to change course. Dream, start and keep going. The path will change. Keep going. Look for the good – in people and situations. You will find what you are looking for. If you look for ‘bad’, you will see it. If you look for good, you will see it. Sometimes you may get burned, but that would happen anyway. Choose the good. Meet new people. Befriend people who are different than you – older, younger, different interests, perspectives, goals – as well as those you resonate with. You can learn – and do – absolutely anything you set your mind to. You don’t have to know everything – just be passionate and willing to learn. The oxymoron is to become the type of person you want to be. You can’t instantly change the circumstances of your life, but you can instantly change your actions, reactions and how you spend your time. Books shape you. They change you at your core. Books are great for impacting your mind, as the more you read, the more thoughts you are exposed to, which changes and develops your perspective and train of thought. I once read an article that said in order to master anything, read one hundred books on the subject. And so, I started to read books – books about marketing as I am determined to be one of the best – I love it and am passionate about it. I also started to read motivational, personal development books – books which solidified the fact that I can in fact accomplish anything I set my mind to. Nobody writes books about those who don’t take risks. Isn’t it better to walk alone than follow a crowd going the wrong direction? Problems are just businesses waiting for the right entrepreneur to solve the problem. An average idea enthusiastically embraced will go farther than a genius idea no one gets. Failing is trying something that doesn’t work. Failure is giving up. On a personal level, it wasn’t my favourite read, but I did get a few ideas based on the book. That said, the book isn’t written for marketers – it’s written for small business owners. For a small business owner, this would be an excellent resource – perhaps invaluable. It covers all the basics of marketing, gives practical ideas that are easy to implement and gives tools that are available in order to do it. This was a very positive, motivational book and an extremely easy read. None of the concepts were new or revolutionary, but still, I loved the book. It’s one of those books that does push you forward in pursuit of your own dreams and encourages you that no matter what circumstances or situations come your way, you can use the experience to catapult you forward into a better person with a more meaningful and fulfilling life. “Your level of success will never pass your level of personal development” – this was one quote , which surmises the essence of the book. I absolutely loved this book. Every marketer should read it, as well as every entrepreneur. The book explores why some things really make it – hitting the tipping point to success – while others don’t. He focuses on three ‘agents of success’ – Connectors, Mavens and Influencers. Connectors are social people with a wide network of friends, always introducing people and widening circles. Mavens are passionate about the subject at hand and wanting to know everything about it – regardless if it’s science or fashion. And Influencers are basically the trendsetters who influence society and what becomes popular mainstream… and how the relationship between the three is often what leads to success. The book is filled with fascinating and insightful stories and examples. A must-read. I had heard about this book for a long time, and after The Tipping Point, I looked for it. I’m so glad I did – it was absolutely fascinating! The premise is how we make judgments quickly, within a flash of a second. The book starts out with the story of a piece of art, which was to be purchased at a great price – and the art experts who knew instantly that it was a fake, without being able to explain why. All the data and information about the piece would lend towards the piece being original, and yet their instinct was correct. However, the book also explored how our flash judgements can be incorrect – based on subtle biases or racism that we may be influenced by culture and we are unaware of. The book explores how to use this instinct to our advantage, and also how to break it’s limitations. A truly excellent book. Hmmm… I think I set the bar pretty high with all the amazing books that I read these past two months, that I was a bit disappointed with this one. It’s not that there was anything I disliked so much, but it didn’t have the same depth or insight, it was more like an airy pep talk than something truly motivational. Life is about taking risks. Anything worth anything costs something – and often not money. In order to love, you need to make yourself vulnerable to being hurt. In order to succeed, you need to put yourself out there to potentially fail. In order to succeed at anything, you must first be a beginner. In order to grow, you must acknowledge your weaknesses. These things can be hard to do. Nobody wants to be hurt – but we all want love. Nobody wants to fail – but we want to succeed. Nobody enjoys the awkward phase of being a beginner, and let’s face it – it isn’t easy to acknowledge that we are wrong, flawed, imperfect beings. It’s scary. People might reject us. But guess what? That is inevitable. If you follow your dreams, take risks, make yourself vulnerable… OR if you stay safe and live the way everybody expects you to – you are not going to please everybody all the time. 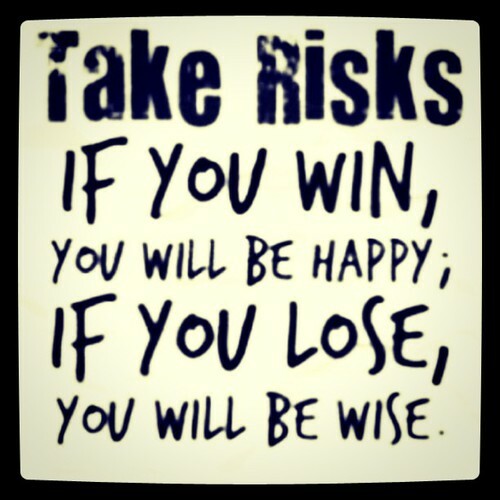 Even if you never take a risk in your life, you will inevitably fail. If you never make yourself vulnerable to be hurt – you will still get hurt. And you’ll have weaknesses, whether you want to face them or not! It’s the irony of success, really. The only way to the things we want in life is scary – and yet the very things that stand as roadblocks to our dreams will inevitably sour our lives. They say when you are old, it’s not the things you did that you regret, but the things that you didn’t do. This week, I was confronted with something in myself, where I realized that I had a choice. I could choose to be vulnerable, or to close myself off. Guess what I did? I’d love to say I followed my own counsel and chose vulnerability, the unknown, the potential to fail, etc., etc – but nope. I got scared and shut the whole thing down. Quit. And then it struck me, the vulnerability, the potential to be hurt, to fail – that is the only path to the things that we value in life. Success. Love. Achievement. Happiness. Meaningful friendships. So, I messed up. Made a mistake. Recognized it and moved forward. The veiled beauty of growth is the freedom to make mistakes. It’s the only way to grow and change, learn and develop. Sometimes your mistakes will cost you. Sometimes you can redeem them. The important thing isn’t the outcome. It’s the determination to keep going. To live your absolute best life. To stay soft. Hungry to learn, grow and live the best possible life. And recognize mistakes, fears and all the other bumps along the road are just that…bumps. Don’t let them stop you! Recently, a friend whom I admire greatly shared with me some heartbreaking circumstances that she is facing. Truly heartbreaking. This is one of the most beautiful people you could ever meet – why is she facing such hardship? She doesn’t deserve this. The unanswerable question: Why do bad things happen to good people? The same day, I read the following by Hal Elrod, “I’ve been lucky enough to hit rock bottom twice in my life. Not once, but twice.” Once, he was hit by a drunk driver, severely injured and nearly died. Another time, he was $450,000 in debt and battling depression. He wrote how both situations pushed him forward. The irony of hardship is that it forces you to re-evaluate your life. It drives you to become better. It takes either desperation or inspiration to change. Sometimes the hard times in our lives allow us to step back and see from a perspective we wouldn’t have otherwise. But, I’m convinced, it’s not circumstances that change us. It’s mindset. Sometimes the circumstances serve us to see life in a new perspective – giving a new clarity, but it’s our choice how we respond, act, and think. It is possible to have two people experience the same difficulties but their reactions and the way they handle things can be completely different – based on their life paradigm. Which, from personal experience, can often shift during difficult seasons. You can choose to push forward, despite whatever difficulties come your way, to keep going towards your goals and fight your way through to live your best life, or you can become embittered, entitled and hardened. That said, I actually believe it’s healthy to express the pain and bitterness you feel if you ever suffer extreme hurt. Feel it. Express it. Then, rise above it. The thoughts we think become our actions, our actions shape us and forge our very identity. But it all starts with our thoughts. We can’t always control the circumstances in our lives, but we can always control our thoughts. Sometimes, it takes sheer, raw determination. There have been times in my life when I have carried positive, inspirational books with me, and read them through tear-blurred eyes, determined not to succumb to the pain of my circumstances. Little by little the choices you make to think differently, to think better, become natural. The way you see the world becomes your reality. Look for the best in it. Be 1% better today than yesterday! “And then it happened, after 12 years of hard work, I was an overnight success” I read this in Jay Samit’s book, Disrupt yourself, and loved it. Life is incremental. Hard work adds up, and pays off. Little by little, the actions you take and choices you make build upon each other, to equip you with skill, character, strength, intelligence, mastery – but none of these attributes come instantly. 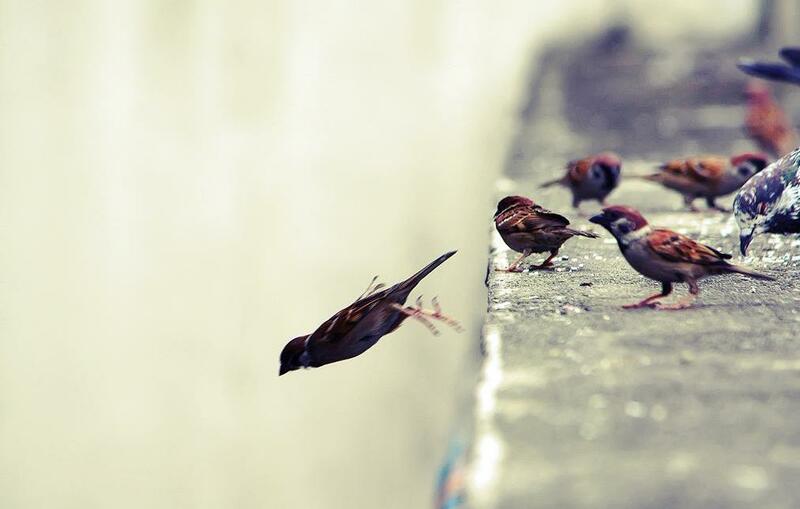 One small choice builds upon a myriad of other choices… but it starts with one. Several months ago, I watched the movie, Wild. In it, the main character, Cheryl, was going to hike the Pacific trail from California to Oregon. 1,100 miles! It’s a long journey, and such a journey seems impossible when you start out. So, she afforded herself the luxury of quitting whenever she didn’t want to go any further. That mental loophole was all she needed to actually start. The first day of her journey, she looked at the journey ahead and thought to herself “I’ll just do one day”. And she did. But she kept going and finished the entire distance that she had set out to accomplish – and then some! Life is fluid. Paths change from our original goal. Play-doh started as wallpaper cleaner. YouTube originally started as a dating site. The path changes, but it wouldn’t without that first action. I’ve been contemplating lately how incremental life is, when this morning I received an email from James Clear. He wrote a blog post on a challenge he is doing – The Tiny Gains Challenge. In addition to being a brilliant and inspirational mind, James Clear is a body builder. This challenge is fitness related and the basic premise is to add one pound of weight each week to one exercise. One pound seems like nothing. The change is effortless. Yet, 20 weeks later, you will be strong enough to do the same exercise with 20 more pounds than you can today. If you were to attempt to add 20 pounds to one exercise today – it just might seem impossible. The principle applies to anything. They say if you read 100 books on a subject you will be in the top 3% of your field. That goal starts by reading just a few pages. To run a marathon, start by running half a mile. To write a book, write the first brief. To be happier, do something that makes you smile. To learn a language, learn to say ‘hello’. I’m convinced we can do anything we set our minds to do. 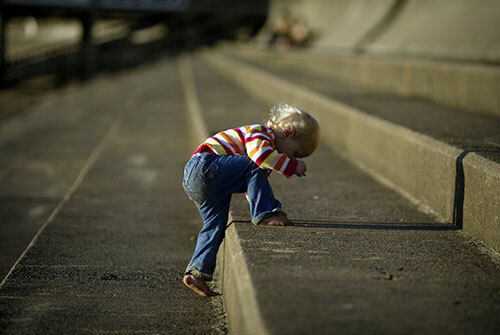 It just starts with a dream, and the courage to take the first step. One step isn’t so intimidating is it? 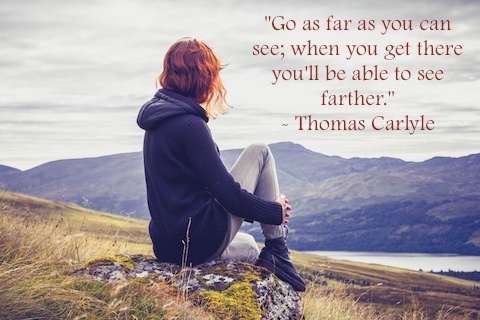 Go as far as you can see and when you get there, you will see further. It may seem intimidating to ‘go as far as you can see’ – but the journey starts with one step. Take one step in the direction of your dreams.